I am passionate about sharing knowledge, practical education, and inspiring the vets of the future. I am lucky to be able to visit universities and veterinary events throughout the world and share my experience, knowledge and passion. 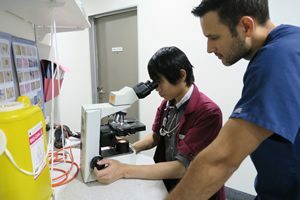 It is for this reason I developed a series of resources that are concise, relevant and pocket-sized to help students and new veterinarians in the transition into practice, so they have key diagnostic information at their fingertips. Through my products and mentoring, I hope that in a small way I can make the lives of veterinary students and veterinarians around the world easier. Looking to the future, I hope to create more resources to help advance veterinary standards, and to help and support vets in more remote areas across the globe. 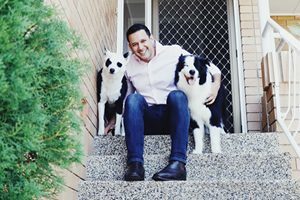 I am an Emergency and Critical Care veterinarian for Animal Emergency Service in Brisbane, as well as being one of the hospital Directors. What I love about emergency medicine is that every day is different, and on each shift I can make a huge impact. An impact in the lives of the patients and owners that come through the door, but also an impact on the whole team by offering them education and insights, so they can provide the very best veterinary care possible.Animal Emergency Service has 4 clinics throughout Queensland - we pride ourselves on providing the very best care to patients, and offering in-depth training, mentoring and support to the AES team. I am also founder of the charity Rebuild Hope Nepal which is raising money to help rebuild primary schools devastated in the earthquakes. I completed my Bachelor of Veterinary Science at the University of Queensland, Australia in 2008. I am proud to have graduated with first class honours, and I was awarded the Australian Veterinary Association Student Award and also selected as valedictorian of my year. 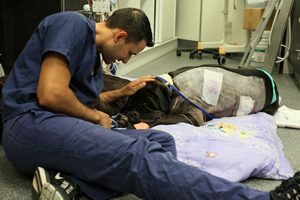 After graduation I spent a few years in a busy small animal general practice, then in 2010 I wanted to changed direction and started working in the field of emergency and critical care with Animal Emergency Service in Underwood. In 2014 I completed my Masters of Veterinary Studies in Small Animal Practice through Murdoch University, which focuses on the more advanced aspects of small animal medicine.I achieved Membership with the Australian and New Zealand College of Veterinary Scientists in the field of Emergency and Critical Care in 2012, and I am currently the head examiner for future Membership candidates.